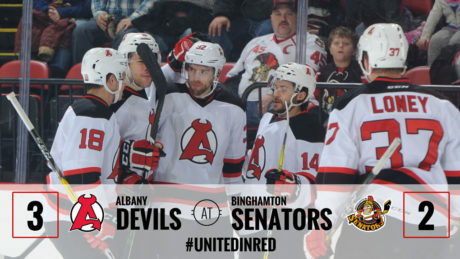 John Quenneville’s shootout goal gave the Devils a 3-2 victory over the Senators Friday. 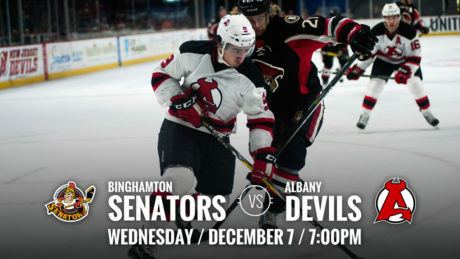 The Devils travel to take on the Senators Friday for a 7:05 pm puck drop. 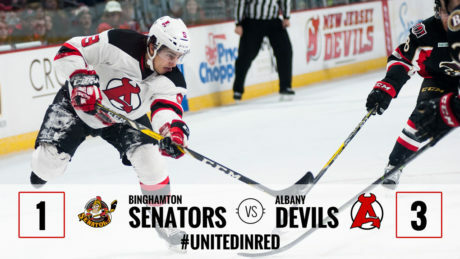 The Devils fell to the Senators Saturday night, 6-2, at Floyd L. Maines Veterans Memorial Arena. 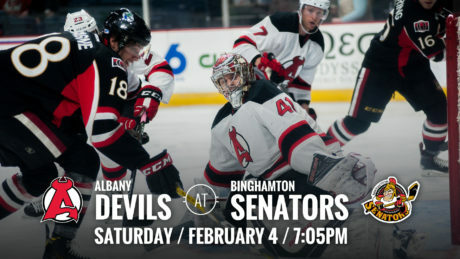 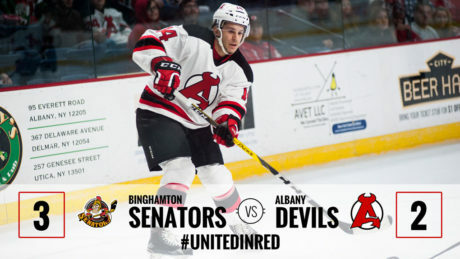 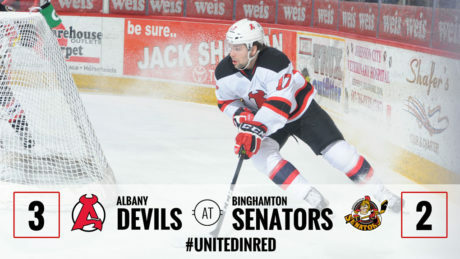 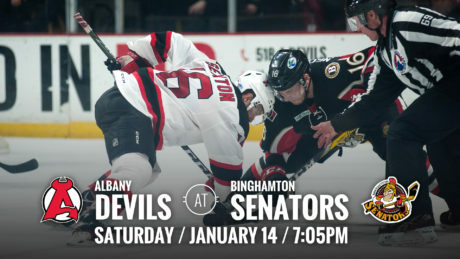 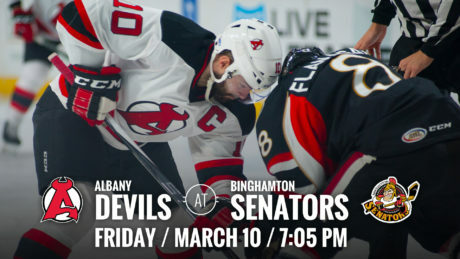 The Devils travel to Binghamton to take on the Senators for a 7:05 pm puck drop Saturday. 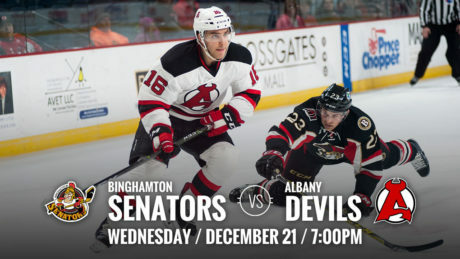 The Devils gifted the Times Union Center crowd a seven-goal performance ahead of the holiday break, defeating the Senators, 7-1, Wednesday. 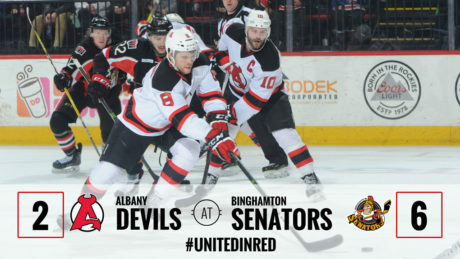 The Devils’ third period push came up just short in a 3-2 setback against the Senators Wednesday at Times Union Center. 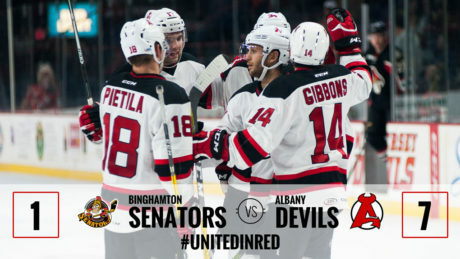 The Devils registered their ninth home win of the season with a 3-1 victory against the Senators Sunday.